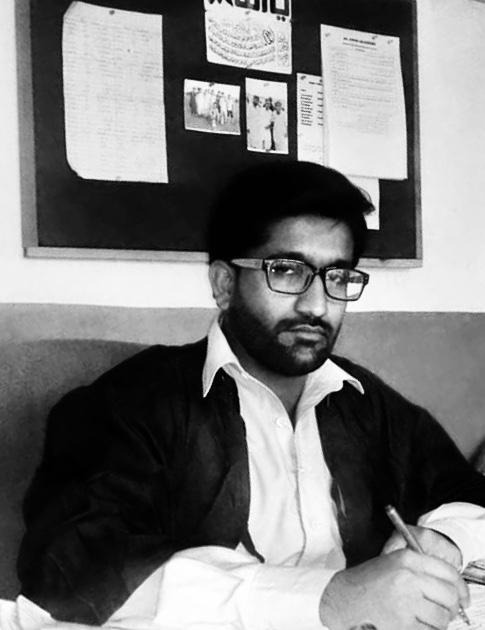 At age 23, Inayatullah Khan has opened a school in his local community modeled after the Behbud Schools, his alma mater. Behbud Boys School has been a source of inspiration for him and he attributes all his success to this school. He joined Behbud in Class 4, at the recommendation of a relative. In his previous school he used to bunk classes but after joining Behbud he didn’t feel the need to do that. Behbud Schools work with discipline and provide support and motivation, cutting the drop-out rate of their students. While attending Behbud School he actually enjoyed coming to classes as the teaching methodology was more innovative and he was able to grasp the content matter. Despite the school being far away from his home he made the effort to come regularly. He actively participated in extra-curricular activities like art, painting, story writing and poetry and, with the help of his teachers, excelled at his studies. Being the eldest of nine children, he had a lot of responsibilities. He faced financial problems through his school years and had to take a gap year when his father died. But when he continued his education, Behbud, as always, supported him. Because the fees were highly subsidized, his parents were able to send all the children, including three daughters, to Behbud Schools. Today Inayatullah has completed his civil engineering diploma course and has graduated from Karachi University. His goal is to become a CSS officer. Meanwhile, he runs his own school, Al Anas Academy, on the model of Behbud.